Alberto Granado, Che's friend from university, and travelling companion on his motorcycle trip around Latin America, has died peacefully of natural causes in Cuba aged 88. Alberto was an advisor to the 2004, Walter Sallas film about the trip which stared Gael Garcia Bernal, and Alberto also appears at the end of the film. He also wrote his own book about the journey, Travelling with Che, which gives his view of the adverture and political awakening of the two young Argentinians. In 2008, CSC's CubaSi magazine carried an exclusive interview with Alberto, where he talked about this trip, and sent a message of greetings and and thanks to the members of CSC in the UK for their work in solidarity with Cuba. The full CubaSi interview by Steve Ludlam of Sheffield CSC (pictured with Alberto, left) is reprinted here. On a recent visit to Havana I enjoyed the honour of visiting Alberto Granado, the Argentinean biochemist who was the friend, and companion on the motorcycle journey that opened Che’s eyes to the state of neo-colonial Latin America, and set him on the road to revolution. As the Cuban revolution approached its victory, Alberto was working in post-dictatorship Venezuela. 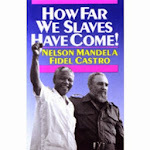 In 1961, he moved to Cuba to offer his services as a scientist. As Professor of Medical Biochemistry at the University of Havana, he helped found Cuba’s second medical school in Santiago de Cuba. His distinguished career ended, at least officially, when he retired in 1994 as Director of Genetics in Cuba’s national centre of animal health and stockbreeding. 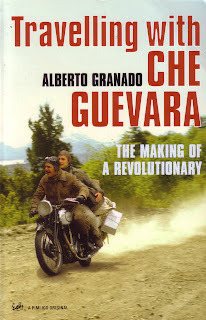 In the 1970s Alberto had published his own account of the trip, which came out in English in 2003 under the title Travelling with Che: the Making of a Revolutionary (Pimlico). Many will be familiar with Alberto from his appearance in the film Motorcycle Diaries, to which he acted as a consultant. He remarked that he was especially glad when the film crew had visited the Amazonian village of Iquitos, from where he and Che had set out for the leper colony featured heavily in the film. Here they had now been able to give local people jobs as actors and extras, and left behind electricity and water facilities installed for the filming. He was also delighted to report that another consequence was that the Motor Cycle Club of Cuba had invited recently him to take a spin again on a Norton 500 like that he had used as a radical student to elude the Argentinian police after using it to leaflet demonstrations, before setting of on it on his odyssey with Che. His Norton, of course, had not survived the trip. 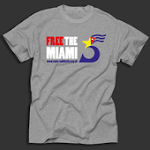 Nowadays, a constant stream of Cuban and foreign visitors find their way to his door. During the hour that I visited (by arrangement) half a dozen casual visitors turned up, and all were welcomed, not least two young Argentinians who were, as Alberto and Che had, working and charming their way around the continent. Alberto was most amused at the card tricks they were performing to con the odd meal. He reminded them that he and Che’s sometimes pretended that their headlamp had failed, to get sympathy from farmers and a meal and a roof for the night. Alberto also talked about one episode in the book that didn’t make it into the film. After their visit to the leper colony, they arrived by raft and dugout canoe in Leticia, Colombia. There, because they were from the Argentine, and, it was assumed, brilliant at football, they were offered the posts of coaches to the faltering Independiente Sporting Football Club. After a few days with Alberto as midfield dynamo and Che in goal shouting at his defenders, they entered a knockout tournament and reached the final only lose in a penalty shootout. Che pulled off a spectacular save to give them a chance, but their own centre-forward sent all of his penalties wide! Fancy leaving that bit of the book out of the film.